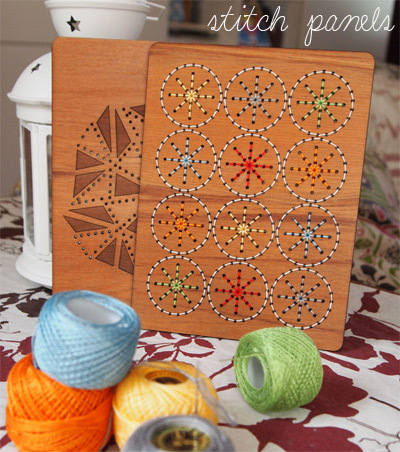 Kristen makes emboidery easy with these stitch panels with pre-punched holes. Use your own embroidery floss and customise to suit your space. They come in wood veneer or red acrylic, and are available in the circle design or the geometric triangle design. Kristen always seems to know what in on-trend - the wood triangle stitch panel embroidered with fluro thread might just blow my mind. 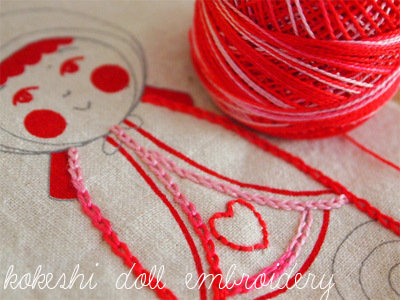 More embroidery - this time a cute kokeshi doll embroidery kit, including cream organic cotton/hemp fabric with doll outline and face pre-printed with instructions for you to create your own doll, or use as a feature panel for a girls' dress, cushion, quilt etc. 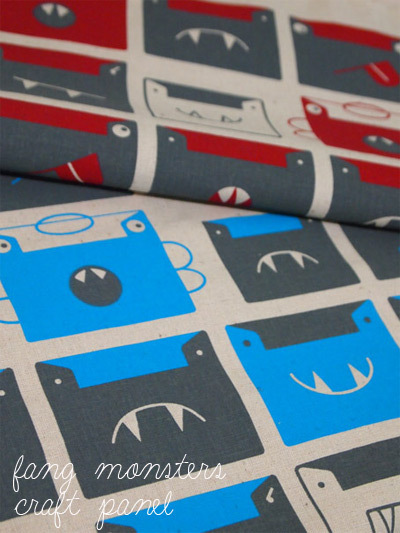 Kisten's new fang monsters craft panel was designed with help from her son Harry, and hand screen-printed here in Australia. The printed area is 36cm x 43cm and would make great cushions for a child's room, feature blocks for a quilt, library bag, etc. Available in three colourways. 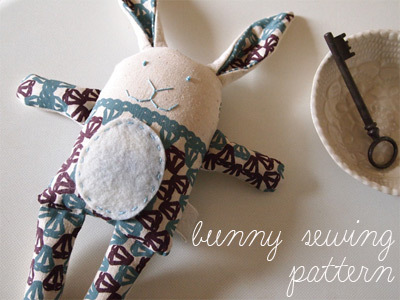 While you are in crafting mode, pick up Kristen's cute bunny sewing pattern to use up your fabric scraps. The pattern includes photos, pattern pieces and instructions. You can find all Kristen's products in the online store and fabrics at stockists around the world. If you're crafty, check out Kristen's sewing retreat in the Blue Mountains in June. Read more about Kristen Doran here on Bondville. 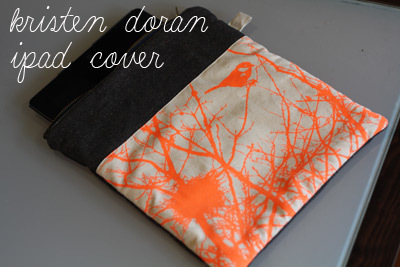 I use mine as an iPad cover sometimes too (did I tell you that I bought one for both of us? ), but it's actually a fold over clutch purse... dual purpose! Love that. It would look fab with your new jewellery.